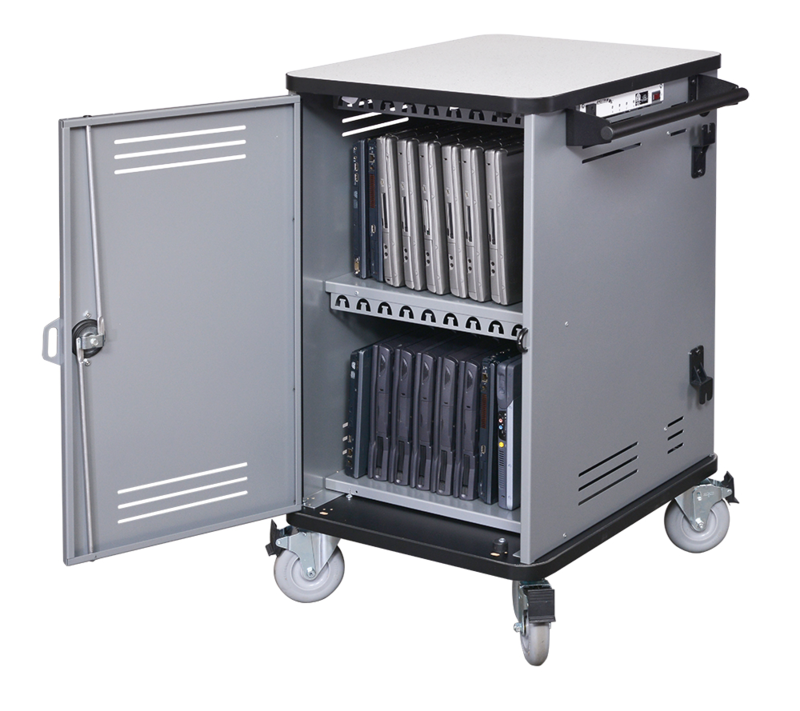 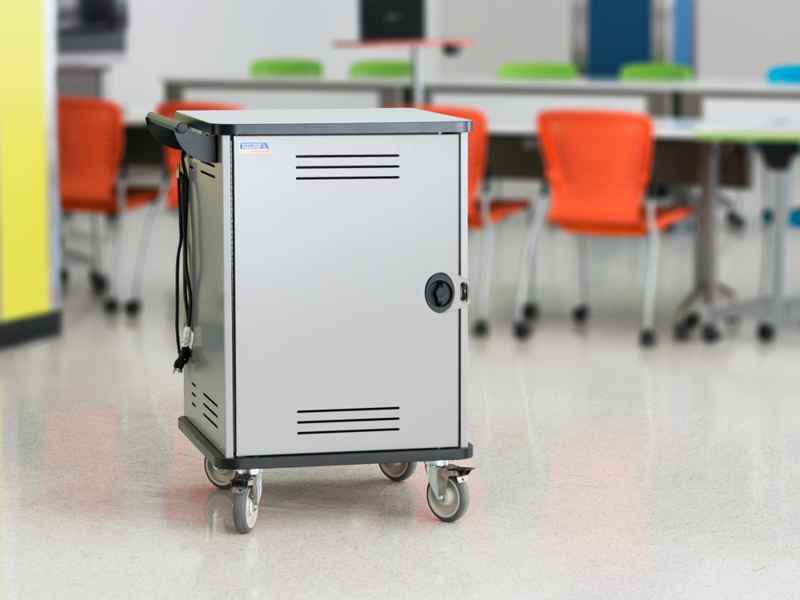 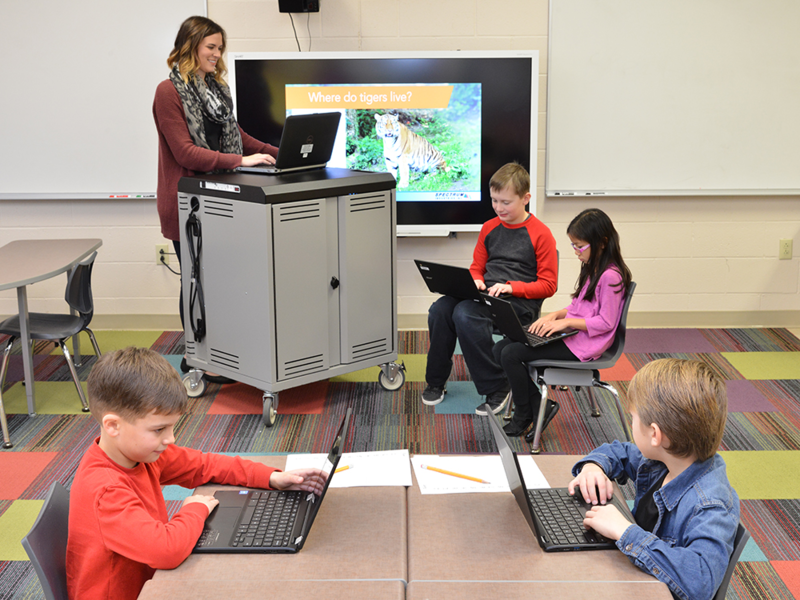 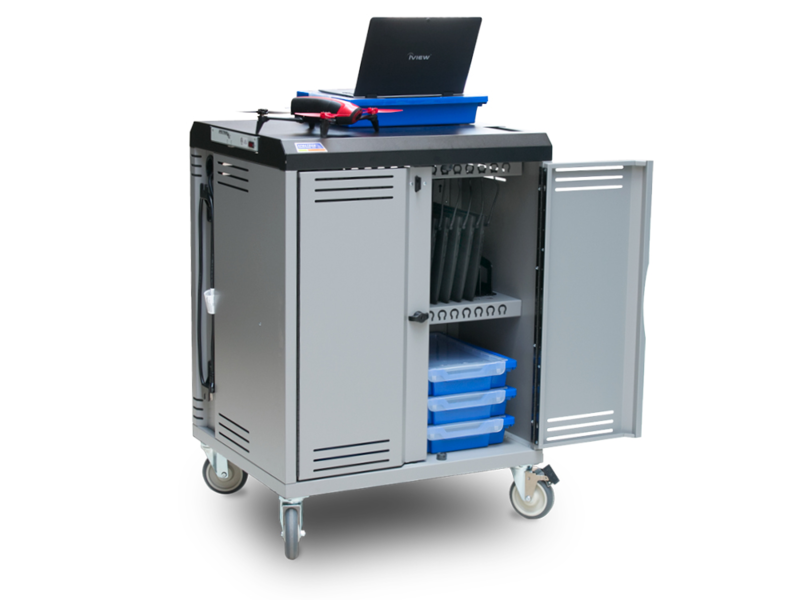 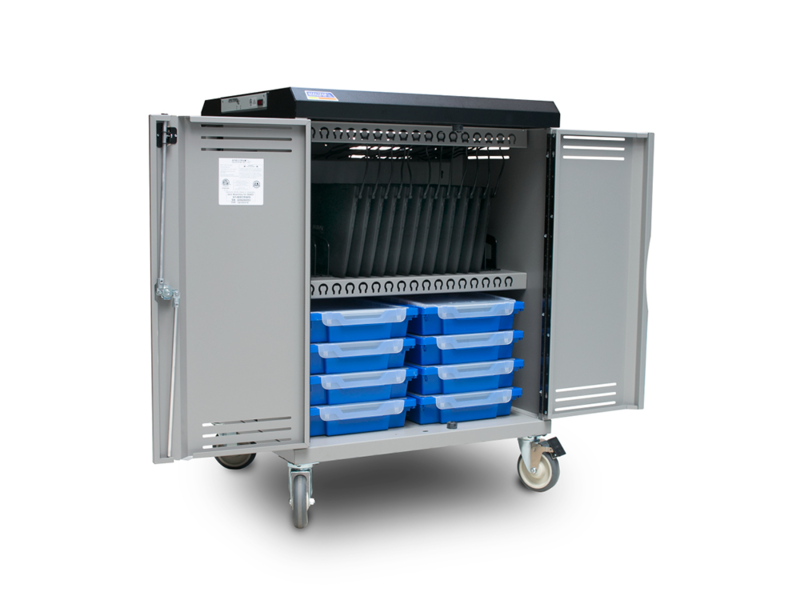 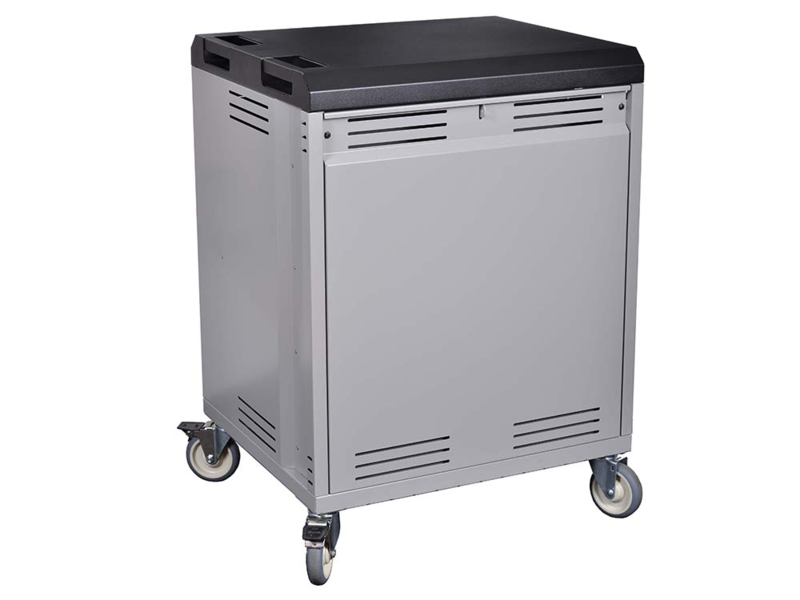 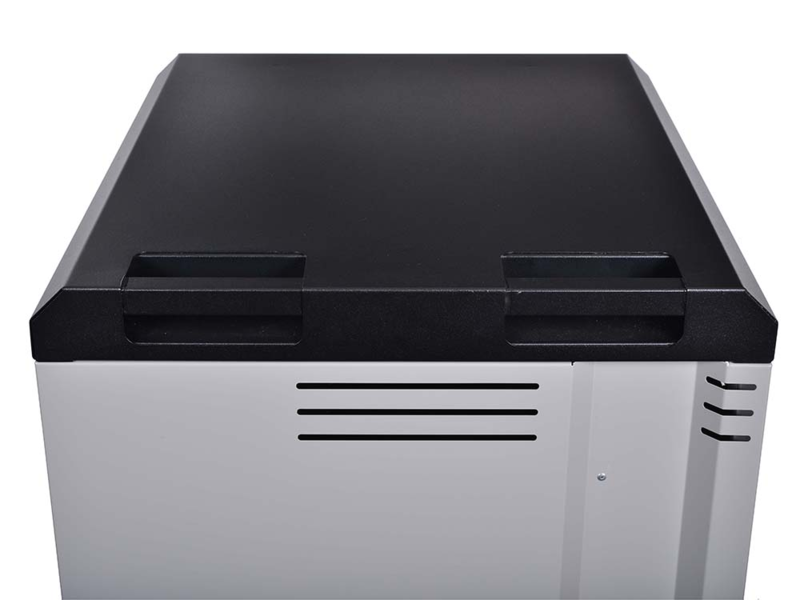 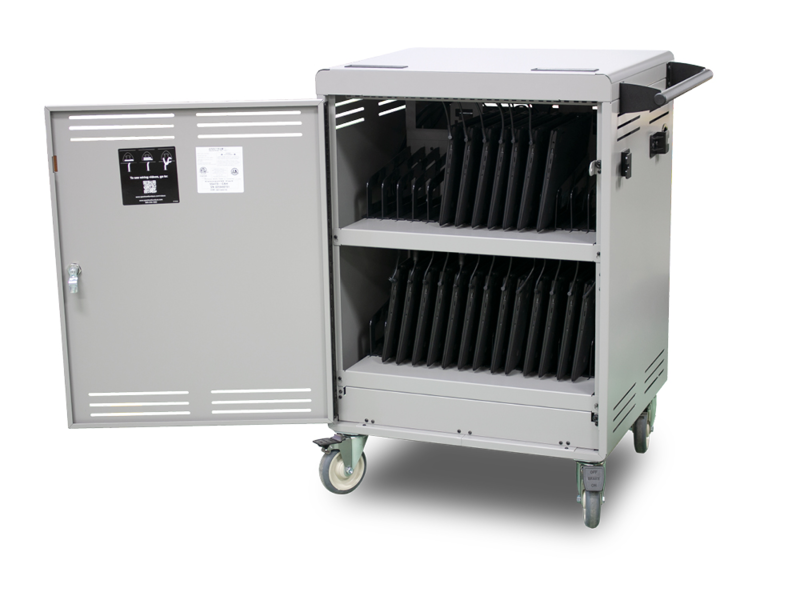 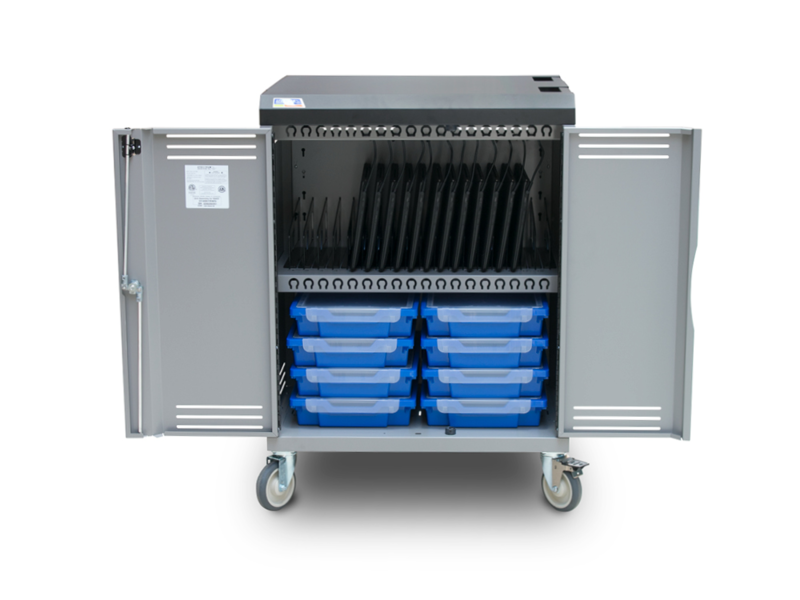 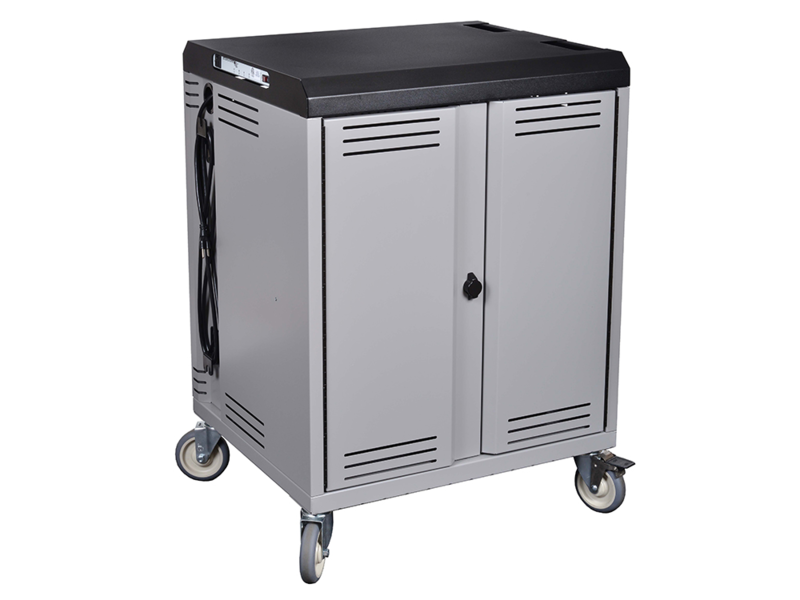 The Connect18™ Mobile Device Cart will store, transport, and charge up to 18 devices. 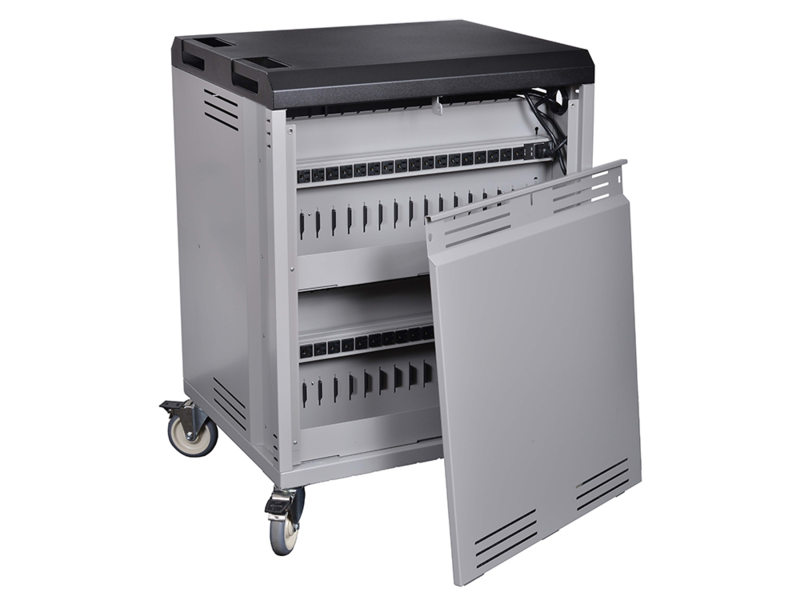 This cart comes with the top quality features you expect from Spectrum, plus it will fit easily into your budget. 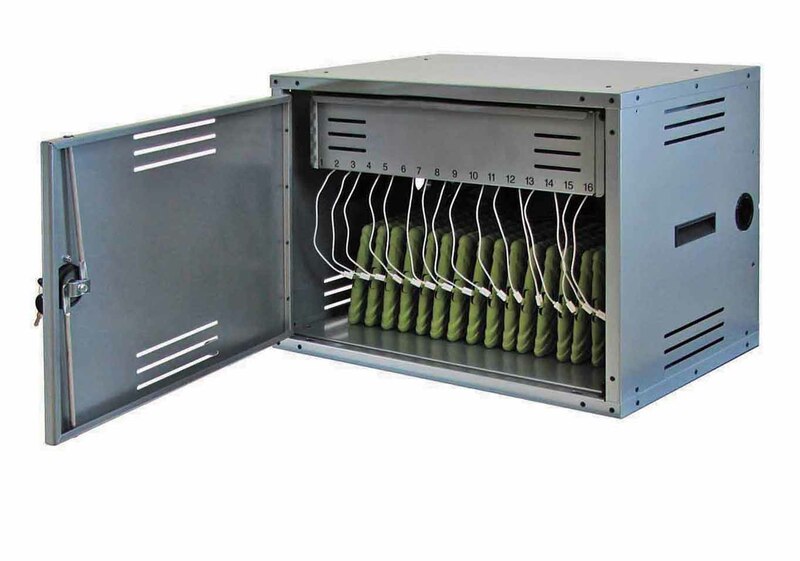 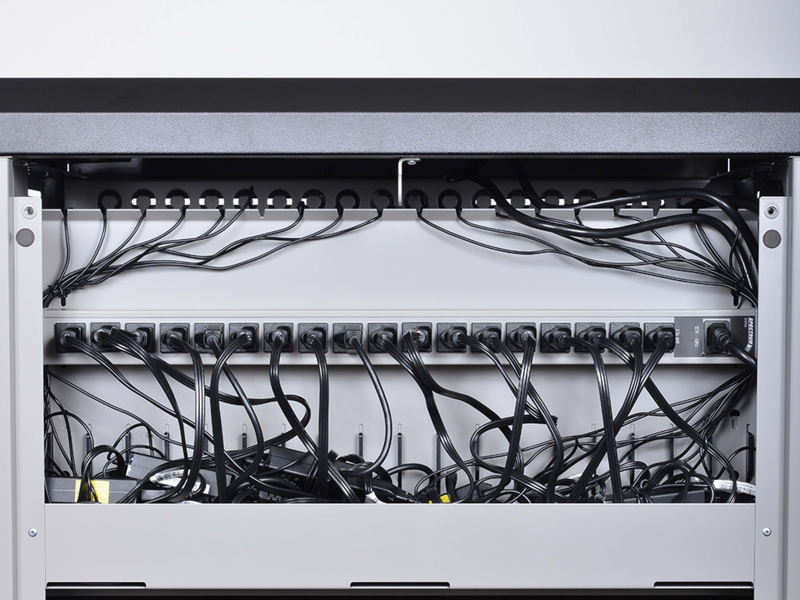 The superior all-metal overhead cord management system keeps charge cords organized above each storage bay. 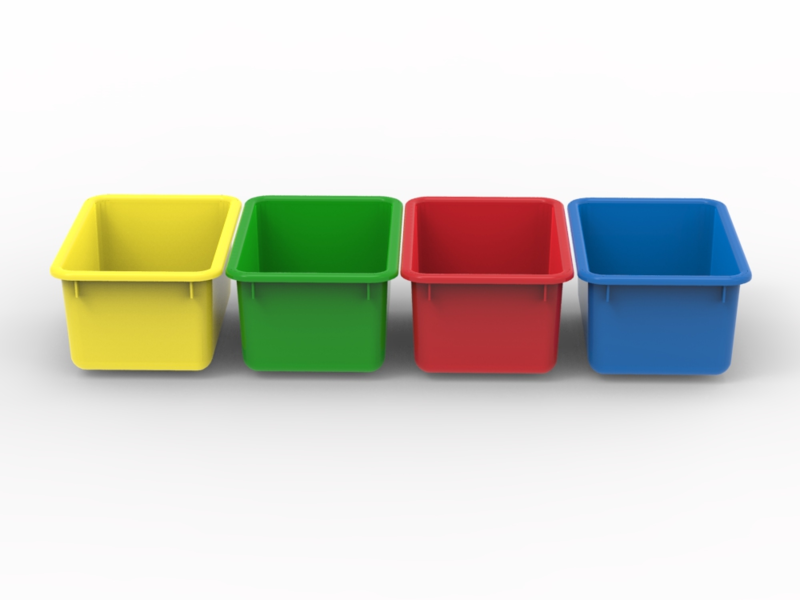 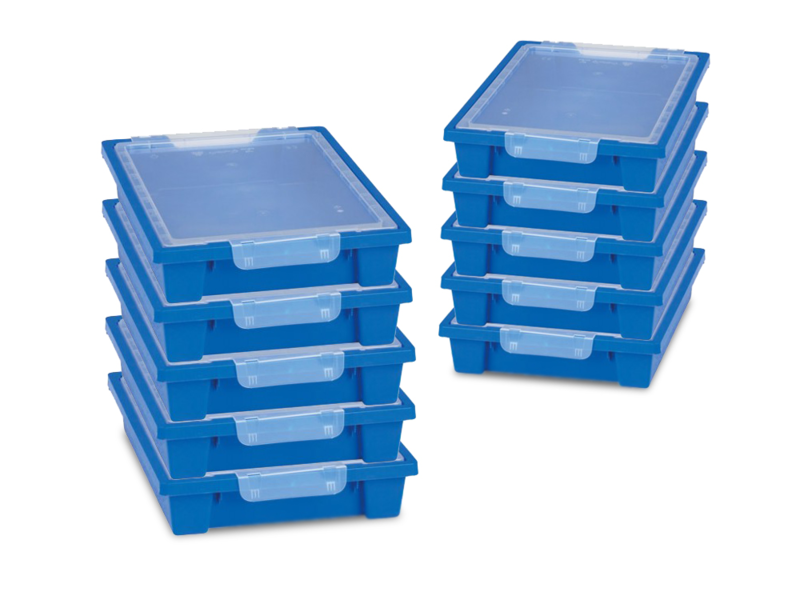 There is also a large tray for easy brick storage. 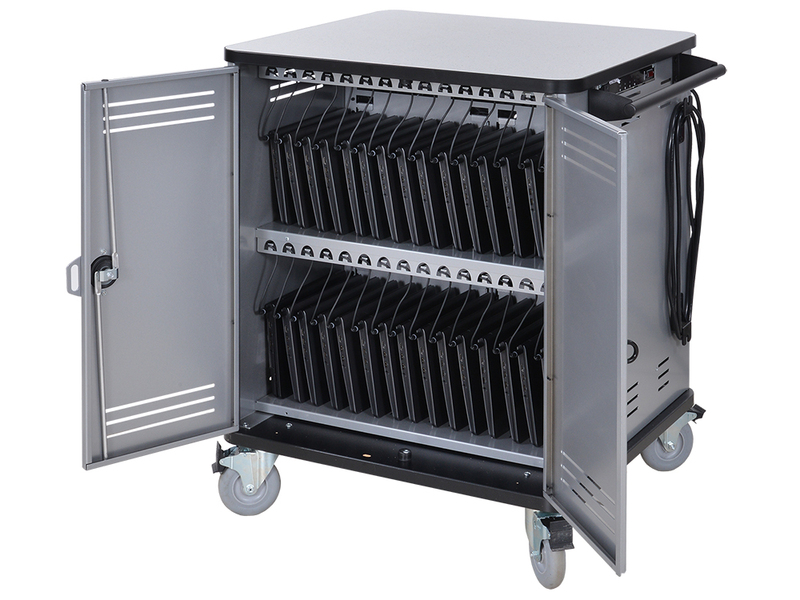 All this, along with large bays, a timer that will charge all devices easily, and extra security with a hasp on the front and rear, this is the perfect cart for any setting.